Enrolled developers can download macOS 10.14 Mojave Beta right now and install it onto their Mac computers. Here are the different routes you can take. The new version of macOS packs a brand new Dark Mode, Apple News and a whole lot more. Needless to say that Apple has crammed in a generous amount of features under the hood and you can learn more about them by going over to this link. In this post however, we would like to inform our readers that they can download macOS 10.14 Mojave Beta right now and install it onto their Macs. Of course, it’s available for registered developers only for now, with the Public Beta stated for release at a later date. First and foremost, head over to the Apple Developer Program website and sign in (paid membership required). Click on the Downloads option under Additional Resources on the left. Under featured downloads, find macOS 10.14 Beta and click on the blue Download button next to it. 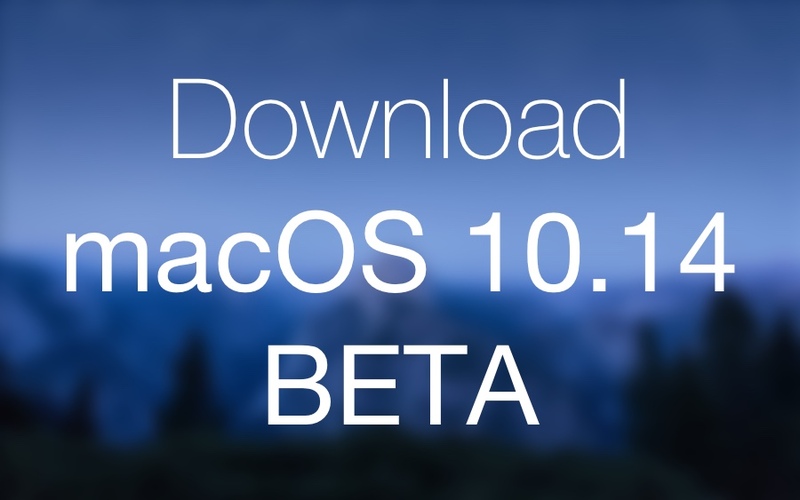 The macOS Beta Access Utility will be dowloaded immediately into your Downloads folder. Click to launch it and install it. Once you are done, you can just launch the Mac App Store, go to the Updates section and you’ll see macOS 10.14 Beta over there for download. Click on the Update button next to it and the download will commence immediately. If you want the maximum performance related benefit from macOS 10.14, then it’s obvious that you should go ahead with a clean install of the OS on your Mac. It is a slightly challenging process, and requires you to download the complete OS from the Mac App Store, create a USB installer out of it and install it. You’ll lose your files in the process therefore create a backup on an external storage medium right now if you haven’t already.